Need to be a bit more determined to make your dreams come true? Why not take a leaf out of Nelson Mandela’s book? 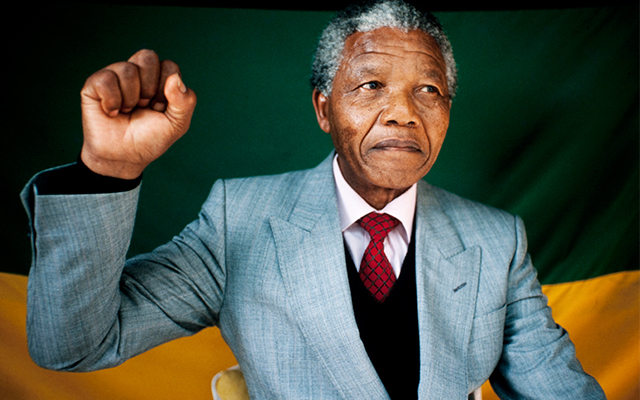 Nelson Mandela is someone who embodies the idea of determination, of never, ever giving up. Born in 1918 into the Thembu people of South Africa, Nelson Mandela faced tragedy from an early age, with the death of his father when he was just 9 years old. Later, at age 23 Mandela ran away from an arranged marriage, and was soon enrolled in university where he was studying to become a lawyer. It was at university where he joined the African National Congress (ANC), and began his anti-apartheid work. Mandela opened his law practice in 1952, and continued to campaign against oppression and segregation. Three years later he was charged with high treason for his efforts against apartheid, but after a long four year court battle, the charges were dropped. In 1960, the ANC was outlawed by the government making it harder for Mandela to continue his work, but despite this, he kept on going, determined to make a difference. In 1964 Mandela was sentenced to life in prison for his efforts in the anti-apartheid movement and he spent a harsh and grueling 27 years in jail. Prison did not break him, and after extensive international pressure on the South African Government, in 1990 he was released. In 1993 he was awarded a Nobel Peace Prize and five months later he was elected the President of South Africa. On his 80th birthday he married Graca Machel and even after he retired from public life he continued to direct his attentions to the charitable foundation that he started. From orphan, to student, to rebel, to prisoner, to President and philanthropist, Nelson Mandela was a man determined to change the world and make a difference. We all have the power to make a difference in this world, all we need is determination. Determined to make your dreams come true? A course with Open Colleges could be the key that unlocks your exciting future. Study online, in your own time and make your dreams come true!